Your heart is tireless -- are you giving her the support she needs to keep going strong? Here are just a few of our favorite supplements that will make her happy and help her keep a steady beat! Here's an overview of several heart-supportive nutrients. Click here to see our recommended products! 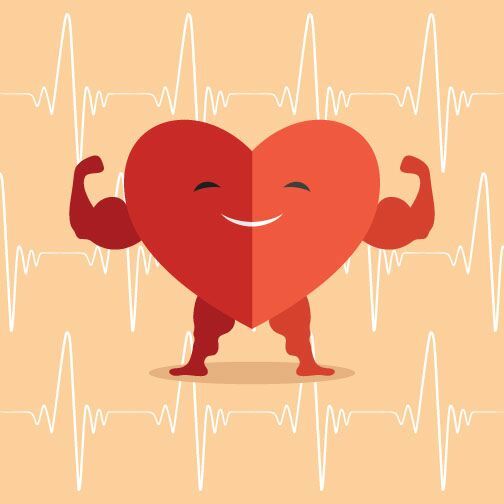 CoQ10: Coenzyme Q-10 is essential for your cells' mitochondria and this is especially true for your heart cells to keep the muscle pumping. If you're on statins CoQ10 is a must because statins block your body's synthesis of this essential antioxidant. Our bodies also produce less CoQ10 after the age of 40, so it's an important supplement for everyone! Magnesium: This important mineral is essential for many bodily functions. Unfortunately because of the overuse of fertilizers, the soil is drained of magnesium and our food contains much lower levels of magnesium. Magnesium deficiency is more and more common putting you at greater risk for a range of cardiovascular issues. Omega-3 Fatty Acids: EPA and DHA are key to supporting healthy blood pressure, reducing blood clotting, and lowering triglycerides and heart failure risk. Every cell in your body needs Omega-3s and since our bodies cannot produce them, we must consume them. Supplementation ensures you're getting a steady supply of these heart healthy fats. The American Heart Association has long recommended that people eat fish to receive the necessary amount of Omega-3s in their diet. However, newer findings are showing that for those with or at risk of cardiovascular disease, a daily dose is key! Resveratrol: This polyphenol is just one of many antioxidants that can support your heart. Research shows that it helps protect the endothelial lining in your arteries and supports a healthy inflammation response. Resveratrol is a unique compound because it activates the SIRT1 gene, which has been health benefits at the cellular level.